It just got more expensive for on-site guests who travel with a vehicle…starting with reservations made March 21st, 2018 and thereafter, guests staying at a WDW resort and will have a vehicle parked overnight will now pay a self-parking fee, which will be added to their folio on check-out. The fee depends on the level of resort: $13/night for value, $19/night for moderate, and $24/night for deluxe including Deluxe Villa resorts. However, DVC members will NOT have to pay a parking fee when staying at a DVC Deluxe Villa, even if they paid points instead of cash. The fee also does not apply to guests staying at campsites at Disney’s Fort Wilderness Resort. According to our friends at the DIS, Walt Disney World has confirmed the recent rumor that selected guests will be able to purchase an add-on to their tickets that will allow them to book 3 additional Fastpass+ experiences per day, and up to 90 days in advance. The extra three experiences can be for any attraction regardless of tiered status or park, but any single attraction can only be booked once a day. This is a pilot program that begins January 12th, 2018. 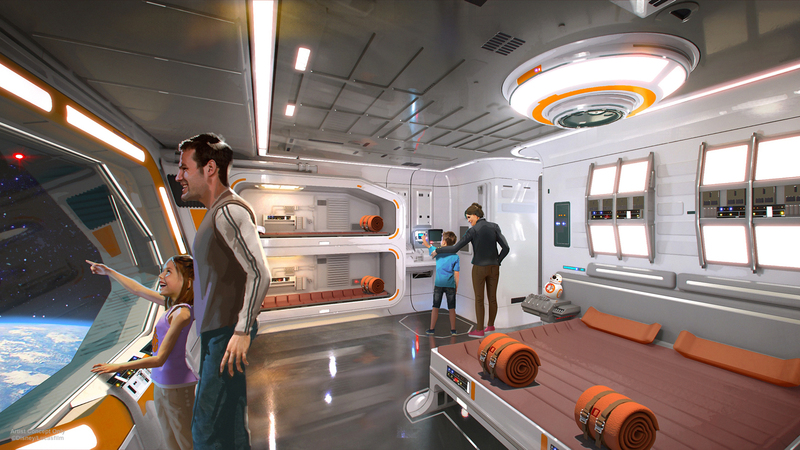 Eligible guests are those who qualify for WDW’s “Signature Services“, which currently include guests staying Club-level and Suite accommodations, as well as those who book VIP Tours. Guests must have at least a 3-day ticket, and the cost is $50 per day. Walt Disney World and Universal Orlando both took the unusual measure to close the parks for the weekend ahead of the impending Hurricane Irma, while they put all their resources into keeping guests safe who are unable to leave the resorts. WDW parks will be closing at staggered times to allow easier transportation back to the resorts. All Universal parks will close at 7pm. More details on the specific closures can be found at the DIS. To all our friends who are at WDW and the surrounding areas, stay safe! The Tron Lightcycle Coaster will indeed be brought to WDW and will be added to Tomorrowland. Early rumors stated it would replace the Tomorrowland Speedway, but we thought about it and believed there would be site line problems from Fantasyland, and it would be better off behind it in a new area – and that proved true. 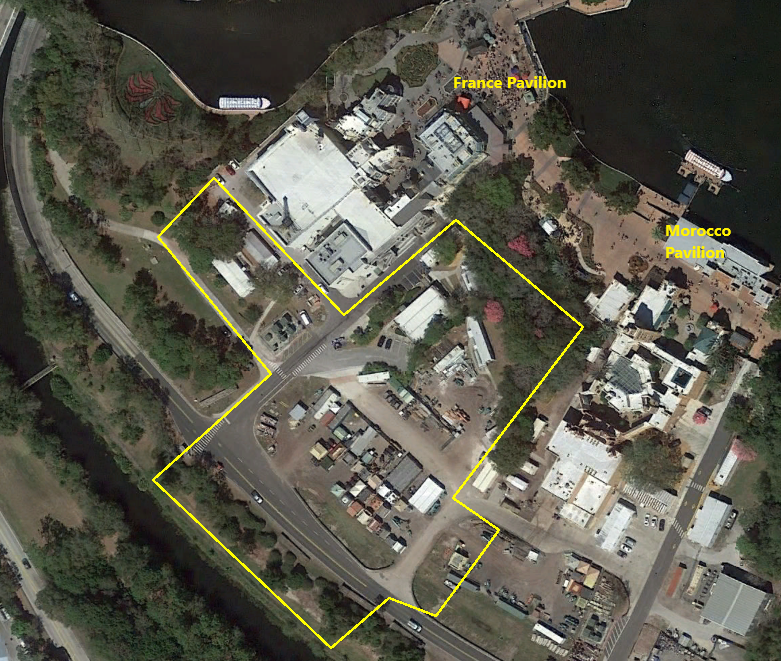 It will occupy the space to the left of Space Mountain, taking some backstage area. The previously reported items are coming true…Guardians of the Galaxy will indeed replace Ellen’s Energy Adventure, but the surprise there is that the Universe of Energy pavilion building will remain! And part of the theme is that Peter Quill visited EPCOT Center when he was a child…further details on the ride itself are not known. And the Ratatouille 4D dark ride is indeed coming to the France pavilion and be located in space behind the current buildings. Most shocking is the news that The Great Movie Ride is closing August 13th, and will become and entirely new ride called Mickey and Minnie’s Runaway Railway. It is supposed to use some amazing “2 1/2 D” technology to take the riders though the screen into the cartoon. 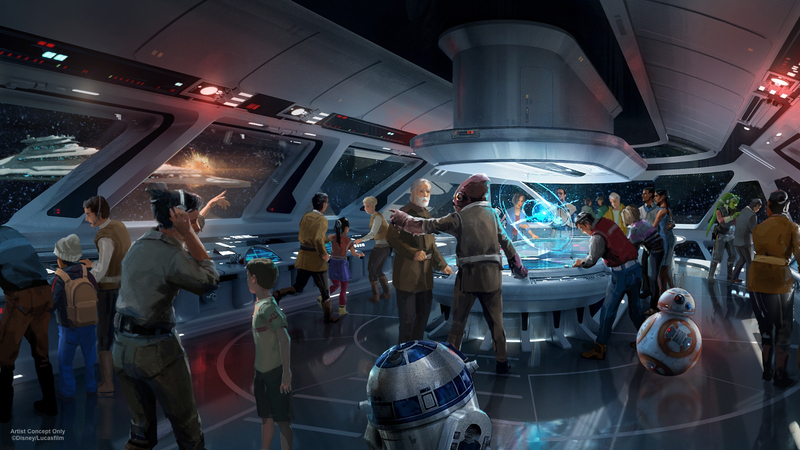 The audience reaction to this announcement was muted, as the existing attraction is pretty loved. At this point I really think they should drop “Studios” from the park name. At the resort-wide level, they confirmed the “Skyliner” gondola transportation system which will connect both Epcot (at the International Gateway) and Disney’s Hollywood Studios to the Art of Animation, Pop Century and Caribbean Beach resorts, which should offer some relief to the buses. In addition, a new point-to-point personal car service, the “Minnie Van”, will be offered. Think “WDW Uber”. DVC will get a new Riviera-themed resort, situated near Epcot…not a lot of details other than it opening in June 2019, but given the date we believe this actually may be the portion of Caribbean Beach Resort that is being torn down and has long been rumored to be a new DVC expansion – but it will be separate from the Caribbean Beach Resort itself. 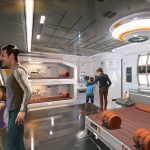 It will be able to take advantage of the Skyliner transportation as well. 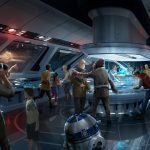 And lastly, probably the biggest item, is confirmation of an immersive Star Wars themed resort which our sister site Sci-Fi Storm reported on previously, in which the guests can play roles in the resort’s story. Not much new detail was provided, but it is part of a new “Disney 360” immersive resort experience project, so we may see similarly planned resorts. See below for some concept art. Just a couple of updates…as of May 18th, the time at which you can first make FastPass+ reservations when the booking window opens has shifted from Midnight to 7:00am ET. Good news for the East Coast and Europe – not so much for the West Coast. We confirmed this change this morning. 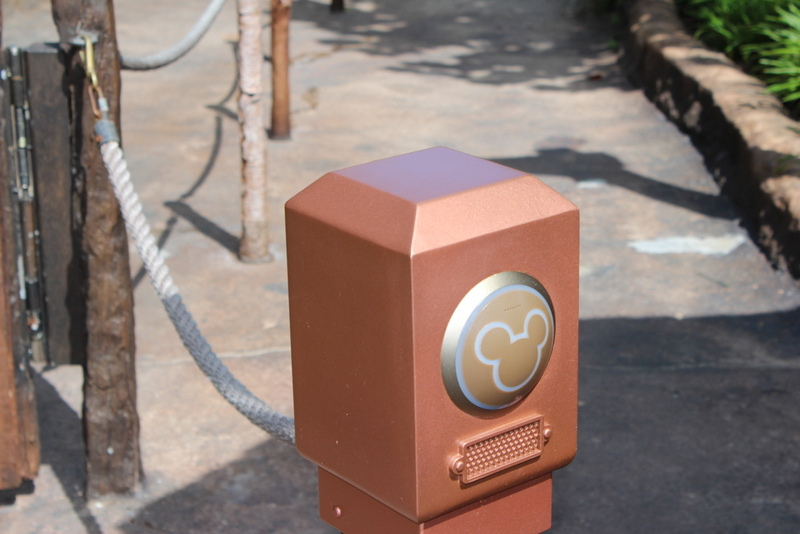 Also, I’m hearing that at least at a few attractions there is a slight modification of the Rider Switch procedure, which adheres to the original idea that the Rider Switch pass should be given to someone going through the line first, insuring that it can’t be used until they return. What may happen is that instead of being given the Rider Switch pass at the entrance, you instead get a lanyard that you will trade in further down the queue (likely at the loading area/merge point), where you will receive the actual pass. Nothing else has changed – the pass is still good for any three guests to use any time later that day. [Update 8/4] I can confirm that the Rider Switch change has taken place at least at some attractions, as we used it and were presented with a card on a lanyard similar to the timing cards, and you trade that in to a CM further in the queue for the actual Rider Switch pass. As was being predicted for weeks, Disney is increasing ticket prices again. But they are doing it a bit differently. Now, the price will depend on when you go, at least for 1-Day Magic Your Way tickets – for now. The calendar will be divided into “Value”, “Regular” and “Peak” days. If you want to go on a Value day, you can use a Value 1-Day ticket or better. But if you want to go on a Peak day, only a Peak 1-Day ticket will get you in. Disney has not released the actual pricing yet, but we understand that Value pricing will be the current prices ($105 MK/$97 other parks), Regular 1-Day tickets will be an additional $5 each, and Peak will be an additional $19/$17. At this time, multi-day tickets will be unaffected by tiers, but we expect similar changes will come to them down the line. Multi-day ticket prices did however go up as well across the board.